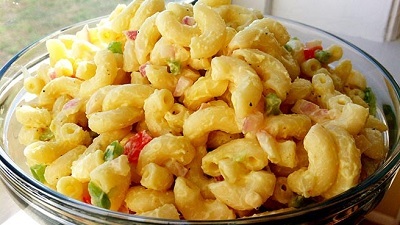 Amish Macaroni Salad Simple and good home cooking. 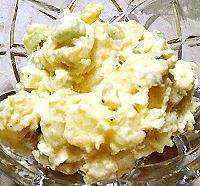 Amish Potato Salad Amish potato salad has a sweeter taste then most salads and features potatoes and their dressing. 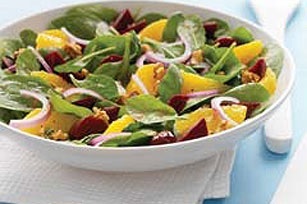 Asian Beet and Spinach Salad A fruity spinach salad with a touch of the Orient. 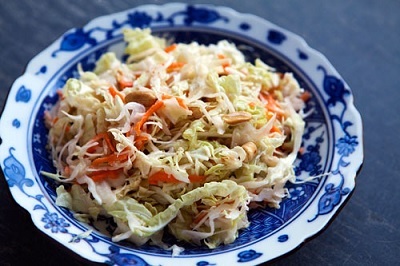 Asian Coleslaw An Oriental slant to a favorite salad. 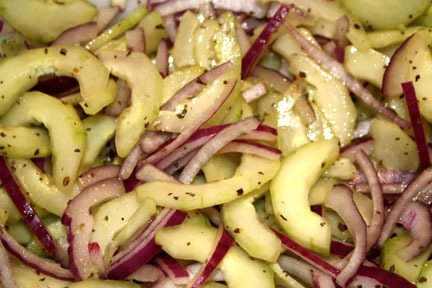 Asian Cucumber Salad A refreshing summer salad. 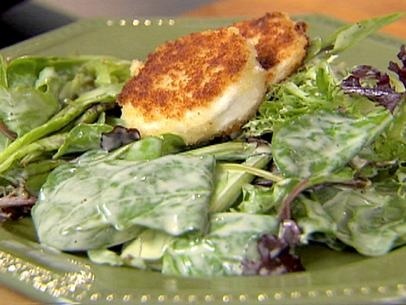 Baked Goat Cheese Salad Goat cheese becomes nice and creamy when baked. 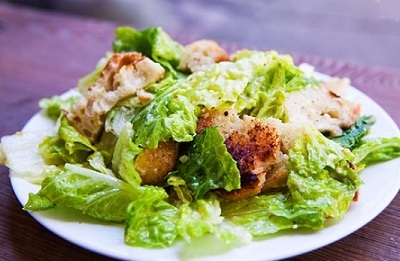 Caesar Salad The classic salad. 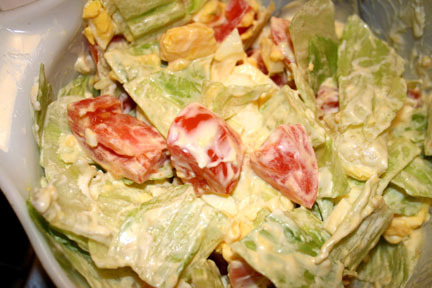 Chef's Salad A salad that makes a meal. 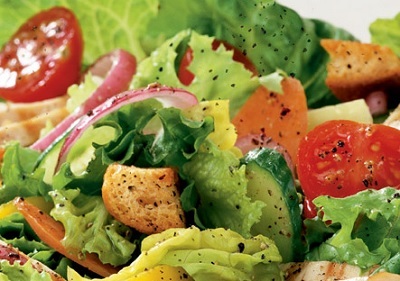 Chinese Chicken Salad This salad shows that great taste can also be healthy. 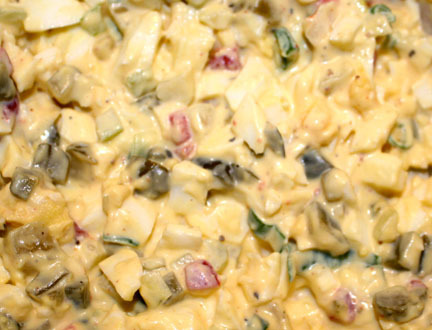 Classic Waldorf Salad This only has a few ingredients but the salad is a classic for a good reason. 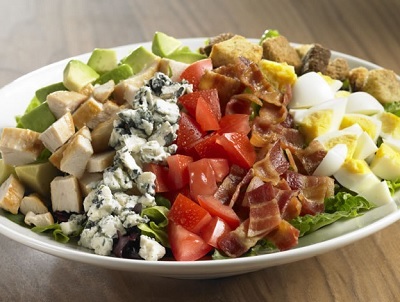 Cobb Salad Another classic salad that makes a meal. 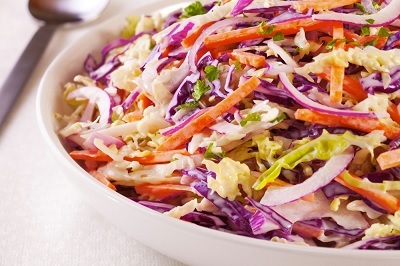 Coleslaw A traditional summertime salad. 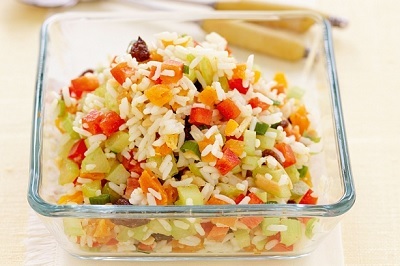 Colorful Rice Salad This salad can be adapted to use your favorite vegetables or rice. Everyone has a special food that for them is "comforting." This salad is mine. 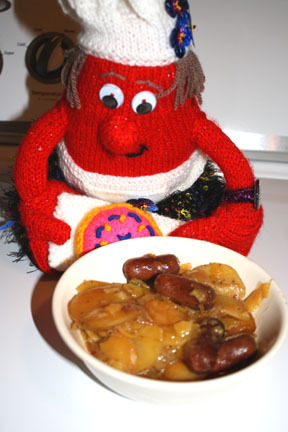 Easy to make and delicious potato salad and little beef smokies. Cucumber Salad A refreshing salad for a warm day. 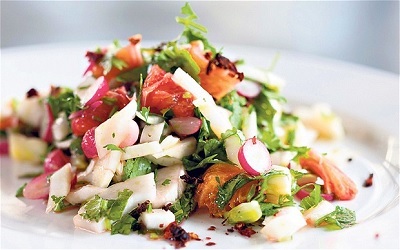 Fire and Ice Salad This is very popular in the South with a combination of cool vegetables and spicy dressing. 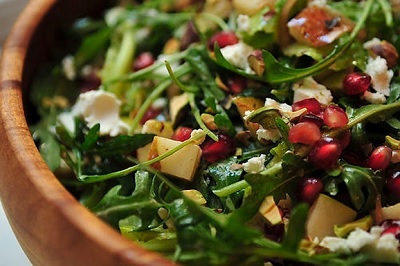 Fresh Cranberry Salad A delicious holiday salad. 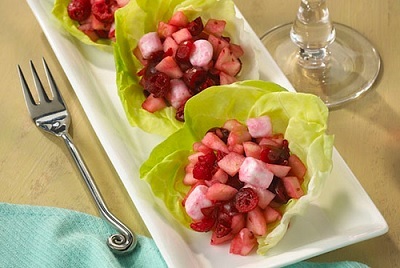 Fruit and Goat Cheese Salad A light and tasty salad. 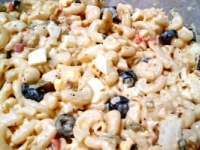 Fruit Salad A delicious fruit salad that can be made any time of year. 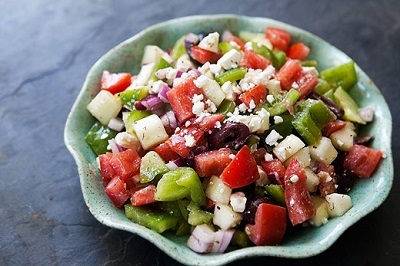 Greek Salad This is a traditional salad that is topped with Feta cheese. 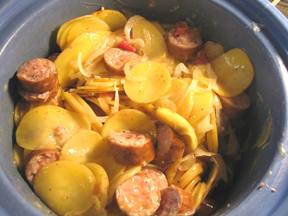 with Polish Kielbasa A hearty and easy to make dish just perfect for Oktoberfest. Pasta Salad The result of realizing at 10:30 P.M. that I needed a salad for a picnic the next day. 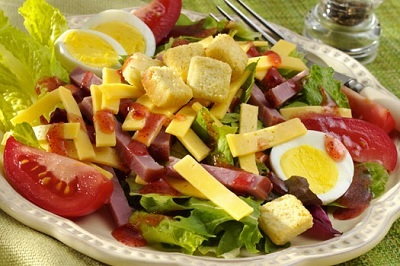 Using what I had in the pantry and refrigerator I came up with this salad. 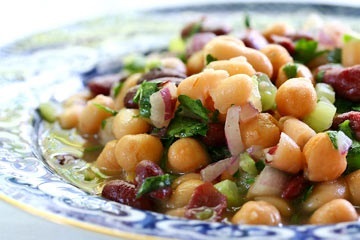 Italian Salad An easy to make cool taste of Rome. 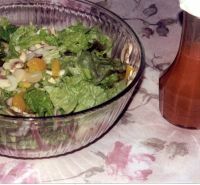 Italian Tossed Salad An easy to make and refreshing salad. 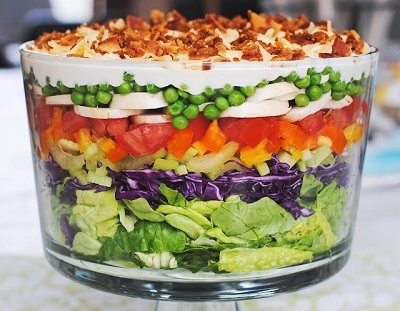 Layered Salad The great thing about this salad is you can make it with anything you like. 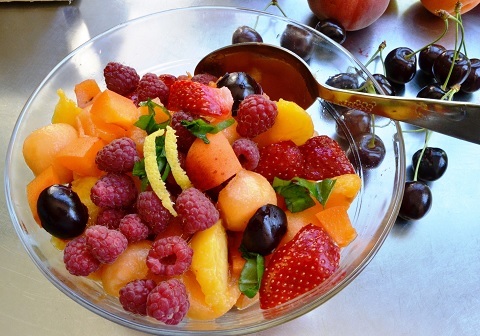 A glass bowl will let everyone see how beautiful your salad is. 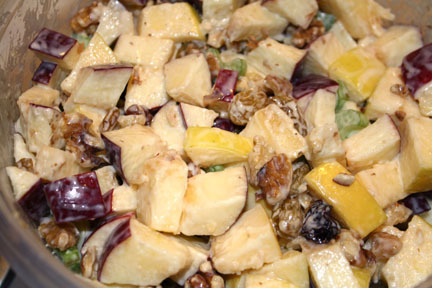 Mandarin Salad A sweet but tangy dressing makes this salad wonderful! 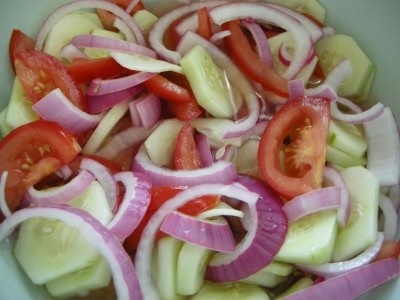 Marinated Vegetable Salad You can use your favorite vegetables in this salad. 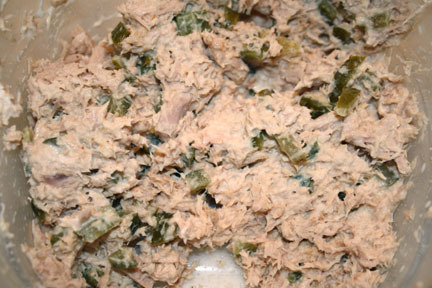 Mexican Christmas Salad This salad is traditionally served on Christmas Eve and has many variations. The two constants are lettuce and beets. 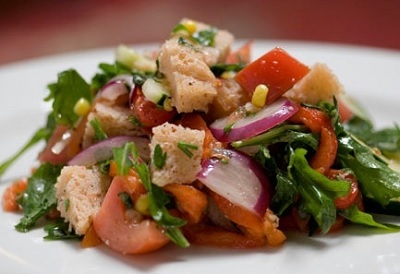 Panzanella A great Italian salad that uses up stale bread in a delicious way. 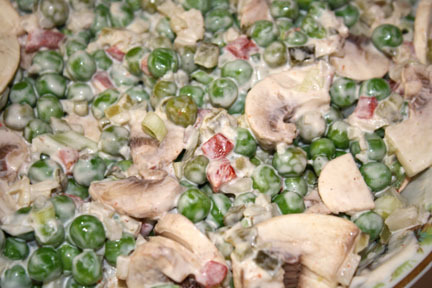 Pea Salad A lighter, flavorful version of an old stand by. 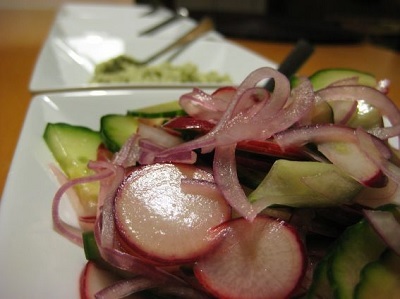 Radish, Onion and Cucumber Salad This is easy to make and tasty too. 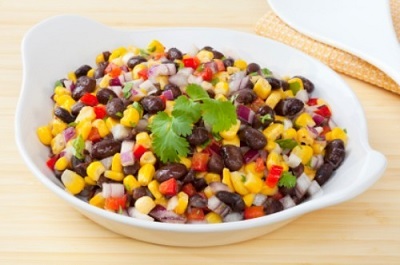 and Corn Salad A colorful and tasty dish featuring ingredients popular in the Southwest. 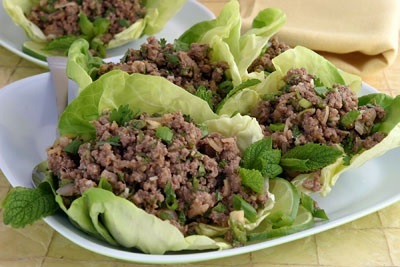 Spicy Thai Pork Salad This is an easy to make salad that combines spicy and sweet at the same time. 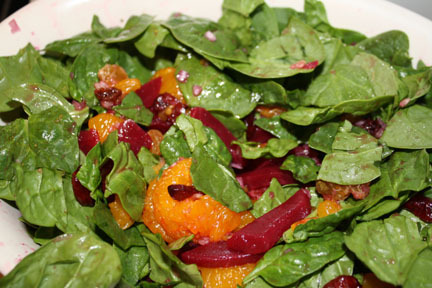 Spinach and Beets Salad This is a refreshing salad and easy to make. 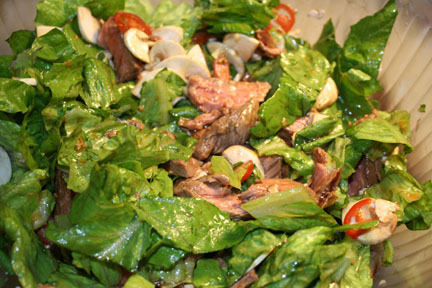 Steak Salad One of the best combinations out there. Taco Salad This fun salad is served in an edible taco bowl. 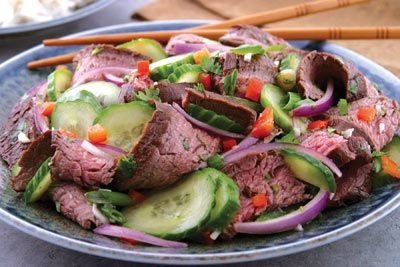 Thai Beef Salad This salad has the sweet and spicy characteristics of Thai food. 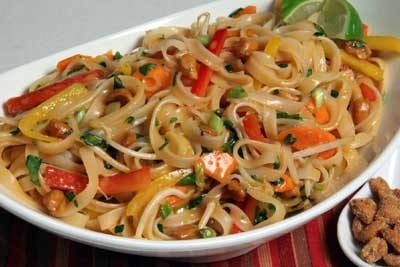 Thai Chicken Noodle Salad This salad is served cold and can be made with shrimp or beef or with no meat for vegetarian. 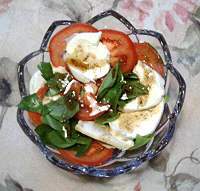 This was a favorite salad of my Mom although I do it a bit different. 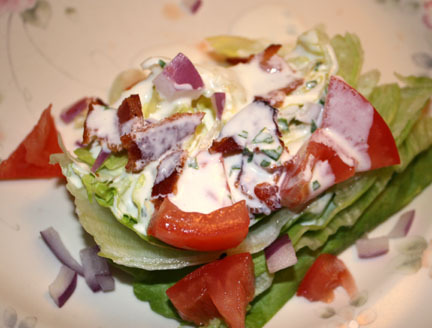 Wedge Salad One of the easiest salads to make. 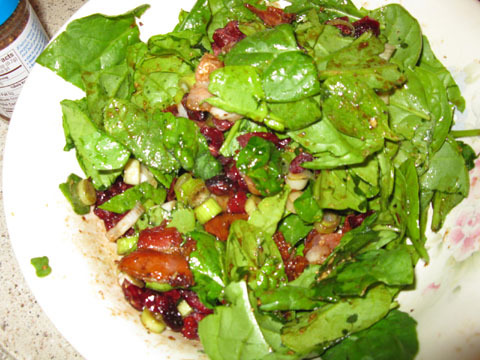 Wilted Spinach Salad A lighter version of a great salad. 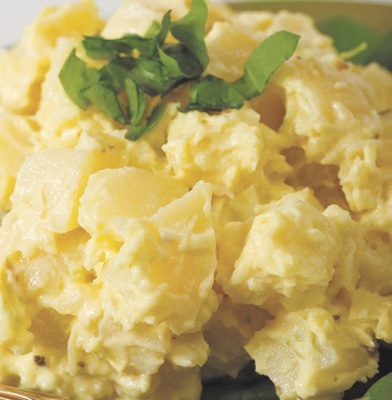 Zippy Potato Salad This recipe proves that potato salad does not have to be boring.